Learn about cloth diapering with post featuring Liz Turrigiano of Diaperkind. She'll be in-store for a FREE event teaching parents how to use cloth diapers on Sunday, November 5th. Liz Turrigiano remembers vividly the last time she used a disposable diaper. She was on her way into the city with her baby in tow for the first time after becoming a new mom. Eager to visit 'Daddy' at the office and show off their adorable baby to his colleagues, she got herself and the baby dressed to impress. Liz had thought a disposable diaper would be the way to go while they were out and about using the transit system. All was fine until they got off the train in midtown Manhattan. She felt an odd wet, stickiness on her blouse. This was it... her first and last experience with the infamous "blow-out" diaper. The two were a complete mess. Liz to ran into a Gap store to buy a whole new outfit for her baby, and blouse for herself. While frantic in that dressing room, she swore off disposable diapers for the last time. Liz is one of three founders of the company Diaperkind, whose mission is to make cloth diapering accessible and manageable for everyone. They've been servicing NYC since 2009 and have recently expanded to service Jersey City. With her experience with cloth diapers, Liz says 'blow outs' don't exist. Even the term 'blow out' has become common place, with just about every mother experiencing this messy mishap on a regular basis. If every mom was using the Diaperkind 2 part cloth diapers, Liz says, this common phrase and common problem, wouldn't even exist! 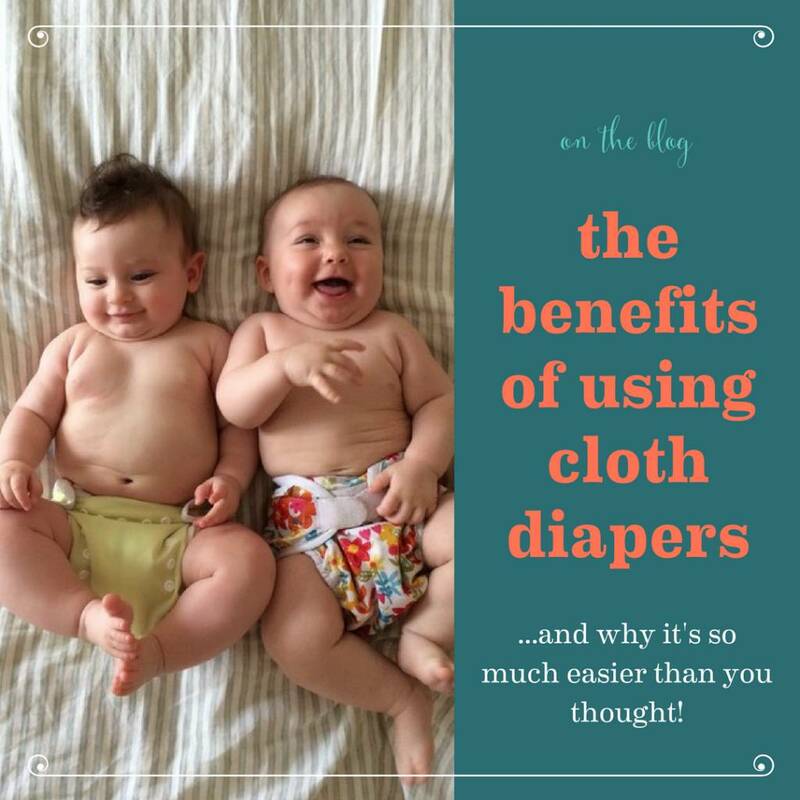 But the benefits of using cloth diapers doesn't stop there. Reducing landfill trash is one of the top ways to reduce our environmental impact. With disposable diapers, 70-80 diapers a week end up in a landfill. (And that's for just the average for one family, with one baby!) You've probably heard of the 3R's: Reduce, Reuse, Recycle. Using cloth diapers does exactly that. Making this decision can significantly decrease the trash going straight to landfills. Financially, cloth diapering can also make a lot of sense. Just start with the dollars spent on disposable diapers each month for your family. What's even more notable is that, on average, a child is potty-trained in the U.S. around age 33 - 36 months. With cloth diapers, that age goes down to 24 - 26 months! That's an entire year's worth of diaper costs back in your pocket. As many parents living in the city don't have easy access to a washing machine, Diaperkind offers pick-up, laundering, and drop off services to make cloth diapering a cinch. If you do have easy access to a washing machine, all you need is the right gear and a little instruction. This is exactly what is being offered at the hands-on class at Hazel Baby on November 5th at 10am. This class usually costs $15, but is being offered for FREE since Diaperkind is new to our area. Come check it out and learn how you can start cloth diapering in your own home right away. Please let us know you are coming and register for the event here!